Are you a business with an online presence? If yes, then you need to expand. You need as many ways as possible to market yourself. One of those is having your own mobile app. Having an app specifically for your services brings many advantages. And it’s a necessary part of e-commerce these days. At least ½ of any website’s traffic comes from mobile. When you make an app for your site, you make it easy to access. All a customer has to do is open their phone, and your app icon is right there. It’s the best way to market to lazy customers. Your app can take customers directly to your shop. Or it can take them directly to a checkout system. It’s like a landing page, only it’s an icon that stares your customer in the face. So you’re more likely to get clicks on it. In fact, apps are one of the best ways to boost your sales! #2 – It’s Excellent Marketing to Long-Term Customers. Keeping long-term customers involves 2 things. The 1st is to provide a good quality service. And the 2nd is to remind them of your presence. The 2nd is best done through many methods. You can do it through email marketing, social media, etc. But, you can also use a mobile app. When a consumer downloads your app, they automatically become long-term clients. Because the app is there to always remind them of you. #3 – It’s Good for Branding. Do you know how many websites have their own apps? Most people focus too much on SEO and content. 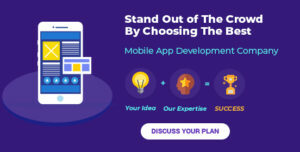 They forget that apps are key in web design and development services. They tend to neglect mobile apps development, seeing it as secondary. But, mobile apps aren’t just a marketing tool. They’re a signal that you send out to customers. And it shows that you care about their user experience. 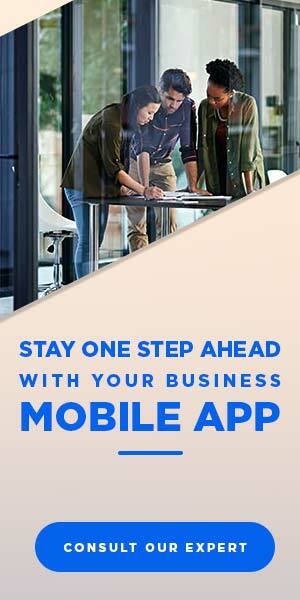 What an App Says About Your Business. It says that you’ve spent enough time researching who you customers are. It also says that your business is sophisticated enough to afford app design. Because apps are expensive to design and maintain. Thus, it shows others that you’re different from competition. #4 – Apps Mean More Recommendations. Basically, you have reviews in app stores. And the higher your reviews, the more this says about your business. Now, you can make an excellent app that gets high reviews. And over time, you can use those to market your business. How Does this Tie to Recommendations? Highly reviewed apps are recommended. And they’re not just recommended by app stores. They’re also recommended by your customers to their family, friends, and others! So it’s a good form of referral marketing. #5 – You Can Integrate Apps into Your Products. Apps aren’t just for easy access to online shops. They can also be key to using your services. As an example, let’s say you’re designing a tech product. It could be an electronic door lock that works by phone. You can have an app specifically to lock and unlock such doors. This feature can be copied into many products in the tech niche. With an app, you can make it easier for customers use your services. #6 – Excellent Marketing Channel. Do you want to give updates to recurring clients? If yes, you can link your apps to your social media. Or, you can design an app to provide updates on your products and services. That way, your customers gain prime access to information that helps. And you remind them of your presence too! There are many benefits to having your own app. If you’re serious about your services, this is a necessary future step. With an app, you open up many possibilities. All that remains now is to find a mobile apps development company. One we recommend is WDIPL (website developers India). This web development company in India is one of the best in the field, and highly affordable. They are primarily iPhone apps developers, but they work with all systems.